I thought the caption on this ad was interesting. Design styles seem to come and go so quickly these days that it is impossible to keep up. Even if one has unlimited funds it really doesn't make sense to follow trends too closely or to redecorate just for the sake of keeping up with what's "hot" in magazines. The pendulum swings from super modern to traditional and everything in between in what seems like a heart beat. that nothing is really "in" or "out"
For the last few years brightly coloured graphic rugs have been popular. 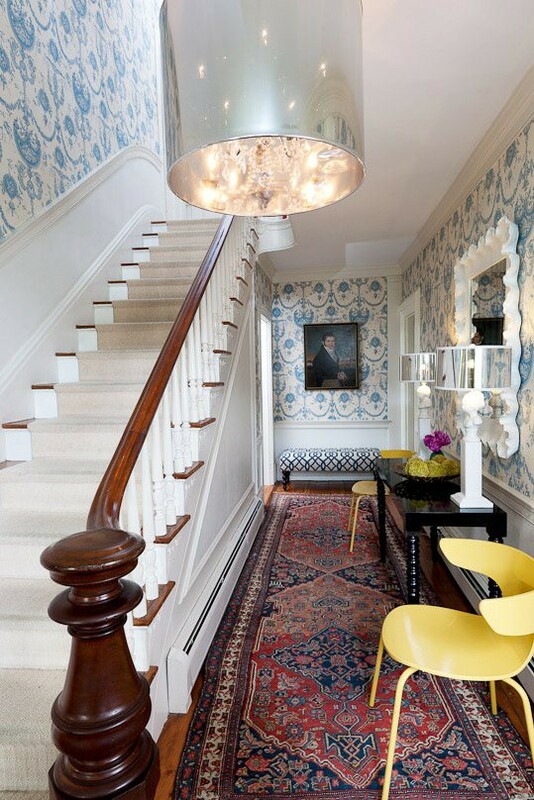 We saw ikat, bold florals and medallion motifs. 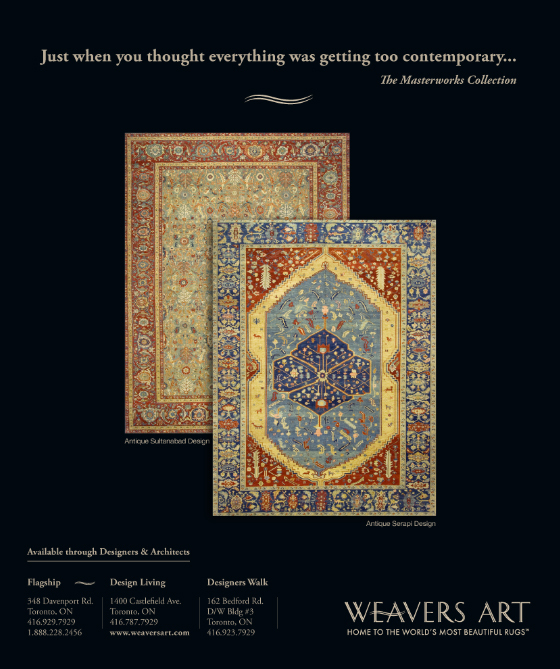 Now I've noticed a lot or Persian and traditional styles. 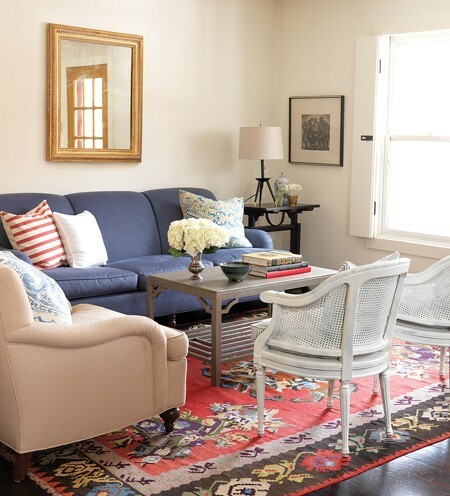 I've always loved a classic rug with deep saturated colour; I am so glad I wasn't tempted to get rid of my Persians. I have one in my family room and one is being used in the basement TV area. They are indestructible and age beautifully. My in laws have a rug that has been in the family for 75 years and it still looks amazing. 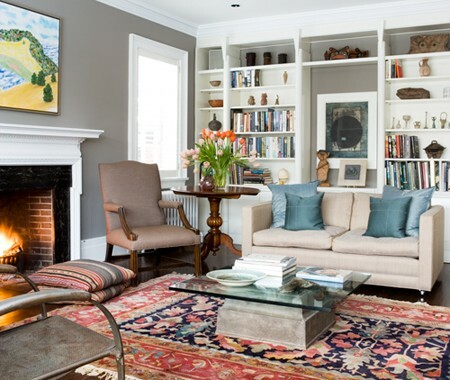 What do you think of traditional rugs?